Kids cannot live on bread ~ slathered with PB and J ~ alone. 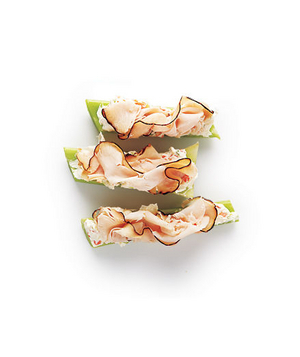 Here are some healthy new ideas to avenge lunchtime boredom. Ok some adults may love these too! Serve cut-up wraps with pesto for a fun, dippable lunch option. More roll-up ideas: Try bacon, lettuce, and tomato with barbecue sauce for dipping, or rotisserie chicken, guacamole, and sour cream with salsa for dipping. The extras: A clementine and animal crackers. Pack it in: Goodbyn Bynto lunch box, $9, and Leakproof Dipper container, $1.50: store.goodbyn.com. The simplest and healthiest foods look extra-yummy when they're tucked inside colorful little compartments. 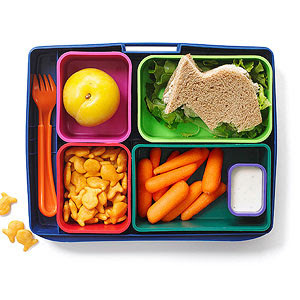 That's the idea behind Laptop Lunches, the company that sells these cute plastic sets starting at $21; laptoplunches.com. 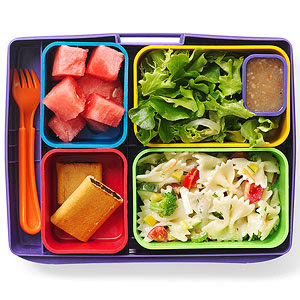 These containers are filled with a protein ~bow-tie pasta salad with veggies, some fruit ~watermelon, a vegetable ~ baby greens salad with 2 tablespoons low-fat dressing, and a small treat ~fig cookies, all in perfect-size portions for kids 5 to 8. Fish-shaped tuna sandwich with lettuce on whole wheat bread, baby carrots with low-fat ranch dip, small plum, and whole-grain Goldfish crackers. 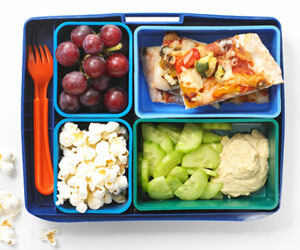 Pack it in these colorful little compartments from Laptop Lunches. Sets starting at $21, laptoplunches.com. Cut the sandwich into shapes with a sandwich cutter or large cookie cutter for a playful twist. More sandwich ideas: Try sliced turkey with pesto mayonnaise, or almond butter and apple butter. The extras: Multigrain chips, grape tomatoes, cookies, and cut-up kiwi. 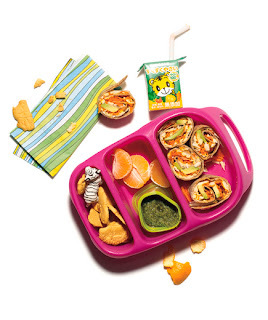 Pack it in: Mom Invented Good Bites sandwich box, $6, ginsey.com. Also available: Mom Invented Puzzle Bites sandwich cutter, $4, ginsey.com. Slice leftover cold veggie pizza cut into squares, cucumber moons with hummus, purple grapes, and popcorn. 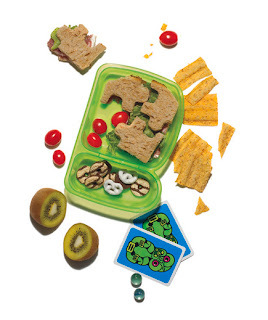 Pack it in these colorful little compartments from Laptop Lunches. Sets starting at $21, laptoplunches.com. Bean salad, melon wedges, whole-grain tortilla chips with salsa, and cubes of reduced-fat cheddar cheese. 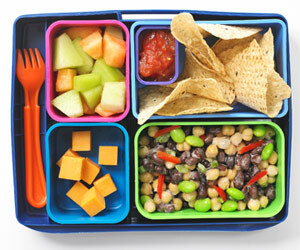 Pack it in these colorful little compartments from Laptop Lunches. Sets starting at $21, laptoplunches.com.